On Jan. 6, in one of his final acts as president, George W. Bush established marine reserves within 50 miles of low-lying Pacific islands and reefs that are the farthest-flung U.S. territories. The new reserves, covering 195,274 square miles, will prohibit oil drilling, tourism and commercial fishing. “The departing president is presumably thinking of his legacy, as he may now at least claim to have done some environmental good for the seas. Less happily, the changing global climate is already doing great damage. A report this week suggests that the growth of coral on the Great Barrier Reef, off Australia, has slowed by 13 percent since 1990. Marine scientists attribute this to the fact that the ocean is increasingly acidic, as a side-effect of rising CO2 levels in the atmosphere.” (Read our coverage of ocean acidification). Three giant new reserves will protect oceans within 50 miles of the marked islands, atolls and reefs. protects a coral reef ecosystem on some of the westernmost U.S. territory. These waters are home to more than 300 species of stony corals and the 11,000 meter-deep Marianas Trench, the deepest place on Earth. Twenty-one active submarine volcanoes support life in severe conditions that may resemble the birthplace of life on Earth. 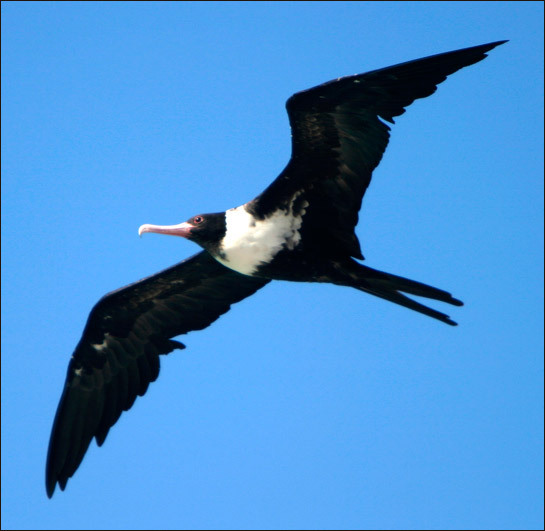 With enough endurance to stay aloft for over a week, the great frigate bird could be an argument for an aerial national monument over the Marianas! Deep beneath the water, hydrothermal vents pump super-heated water into frigid darkness. Some of the bizarre creatures around the vents survive without getting energy from sunlight, even through the food chain. Instead, they get energy from chemicals in the hot water. protects a pristine coral reef ecosystem around a remote part of American Samoa that is home to many declining species, including reef sharks and giant clams. Threatened species of nesting petrels, shearwaters and terns nest on shore. 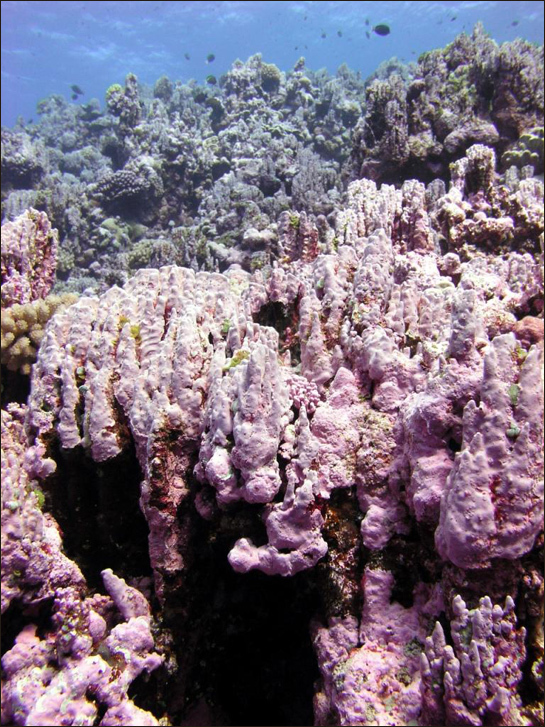 Rose Atoll was named for the dense packs of bubblegum-colored coralline algae stuck along its outer slopes. Members of this algae family are common on almost any rocky intertidal shore in many parts of the world. protects threatened, endangered or depleted species in pristine coral reefs around Kingman Reef, Palmyra Atoll, Howland, Baker, and Jarvis Islands, Johnston Atoll, and Wake Island. Residents include green and hawksbill turtles, pearl oysters, giant clams, reef sharks, coconut crabs, groupers, Napoleon wrasse, Bumphead parrotfish and dolphins. Coral skeletons at the islands record millions of years of climatic history, offering an opportunity to conduct climate research near the equator, far from immediate human disturbance. This Hawksbill sea turtle has an appetite for typically toxic sponges (some have a higher silicon content than your motherboard), but that’s not why it’s endangered — chalk that up to a delicious taste. 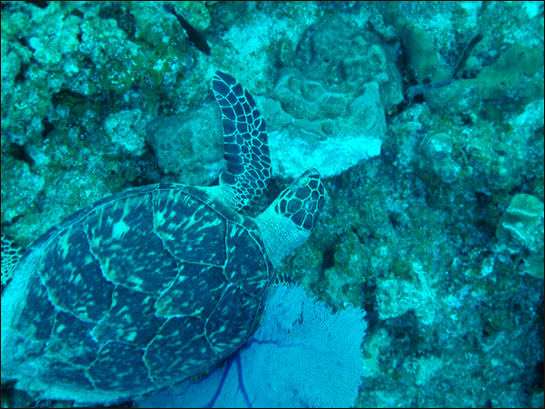 Turtles and sponges around Palmyra Atoll are part of an interdependent ecosystem with matchless diversity in the central Pacific. Do marine reserves actually preserve biodiversity?